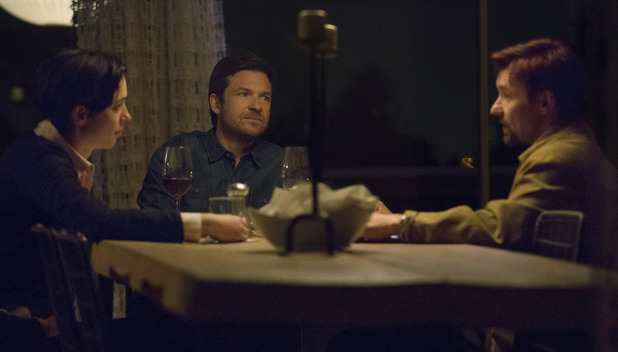 After a summer filled with superheroes, dinosaurs, and disrespected video game characters, it was nice to slow things down a bit with the film known as The Gift. A more sophisticated product from Blumhouse Productions, The Gift is a home invasion film with a slight twist that is far from routine, creating an intense psychological thriller. Simon (Jason Bateman) and his wife Robyn (Rebecca Hall) have just moved from Chicago to the suburbs in Los Angeles for a fresh start. While on a shopping trip to furnish their new home, Simon runs into an old classmate, Gordo (Joel Edgerton). The ensuing awkward conversation reminds Simon that Gordo is just as strange as he was in high school. Simon tries, with little success, to convey this to his wife, who proceeds to provide just the right amount of information for Gordo to enter their lives. As far as directorial debuts go, this has to be one of the better films that I can remember. 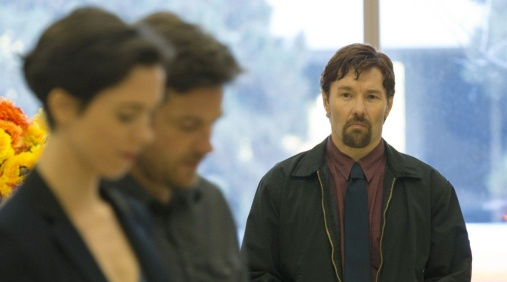 Joel Edgerton, who stars in and also wrote the film, shows just how talented he is. The director’s excellent pacing creates the creepy atmosphere that the film thrives on and each shot is constructed in a way that conveys emotions in subtle ways without slapping you in the face. And of course his acting as the awkward Gordo is fantastic as well, becoming just sympathetic enough to make you question if he is actually a good person. Edgerton’s other co-stars are just as phenomenal. Bateman, often known for his comedy, brings his charisma to Simon, making him a seemingly likable character. But as the film continues, Bateman shifts from being the likable everyman to basically a bully. The chemistry that he has with his co-star Rebecca Hall is quite good and watching their relationship change is definitely a plus for the film as a whole. And Hall might give the best performance in the movie. The actresses’ vulnerability is at extreme levels as the emotionally damaged wife, who becomes stuck in a situation built up over twenty-five years. Everything about her performance shows that her problems are always there, under the surface, never fully healed from her troubles in the past, as she tries to handle the predicament she faces in the present. The Gift manages to maintain a level of tension throughout its entire runtime without devolving into any violence or chase sequences. 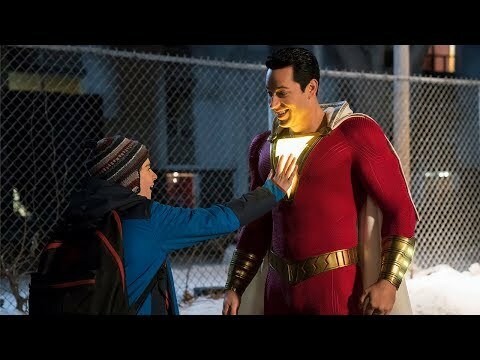 The film excels in the way it hides everyone’s true intentions for so long and creating the question of who these characters really are at their core. It’s certainly a slow burn though, leaving those hoping for heart racing and terrifying scenes disappointed. But as long as you go in knowing that, you’ll see that The Gift will bring you nerve-racking tension, plenty of surprises, and most importantly, a great film. So what did you think of The Gift? Have you seen it, are you interested in seeing it, or is it just not your cup of tea? Sound off below with your comments or feedback and remember to come back for weekly reviews.